As the ice-encrusted moon Enceladus makes it way along its orbit around Saturn it gets repeatedly squeezed by the giant planet’s gravity, like a frozen stress ball with water-filled insides. This constant squeezing and relaxing generates friction heat in the moon’s crust, which could be responsible for keeping some of its internal water liquid and spraying it out into space from long canyons that cut across its southern pole. And sometimes more ice gets shot out than at other times, forming a trail of long tendrils that stretch into the “E” ring – a hazy, diffuse doughnut around Saturn made from Enceladus’ icy exhaust. These tendrils had been observed by the Cassini spacecraft since 2006, but only now have they been positively confirmed to be the results of specific geysers on the 318-mile-wide moon. “We’ve been able to show that each unique tendril structure can be reproduced by particular sets of geysers on the moon’s surface,” said Colin Mitchell, a Cassini imaging team associate at the Space Science Institute in Boulder, Colorado, and lead author of the paper. 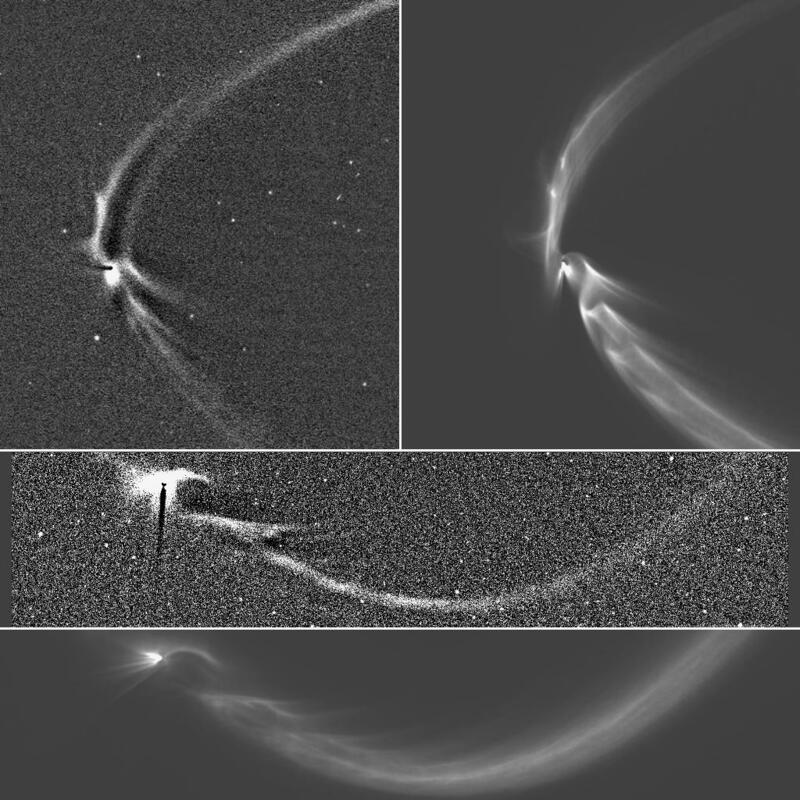 Mitchell and his colleagues created computer simulations to trace the tendrils back to outbursts from individual geysers on Enceladus, based on actual Cassini data. The researchers found the tendrils are composed of particles with diameters no smaller than about a millionth of a meter (one micrometer, or micron), which is consistent with the measurements of E-ring particles made by other Cassini instruments. These icy particles are extremely fine; for a sense of scale, the smallest individual speck of dust our eyes can make out is about 50 microns in diameter. 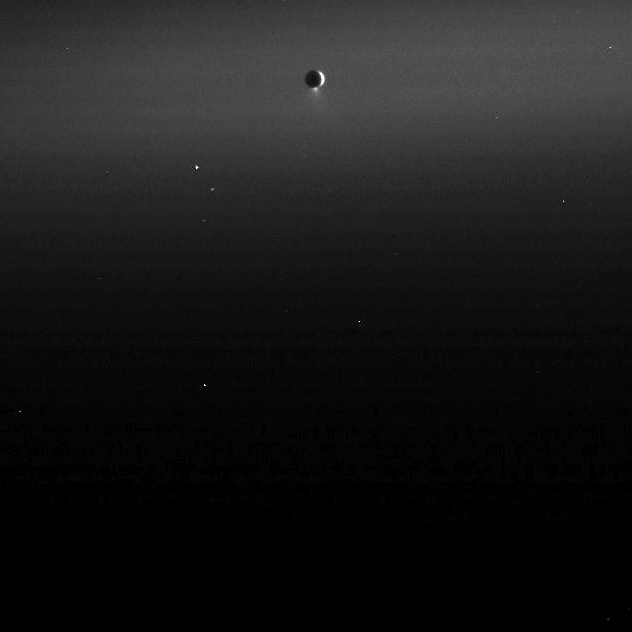 Determining the rate of ice insertion into the E ring and the mass of what’s already there will help scientists figure out how much water is inside Enceladus, how much there was, and how long it might have been there. Read more on the Cassini mission site here.